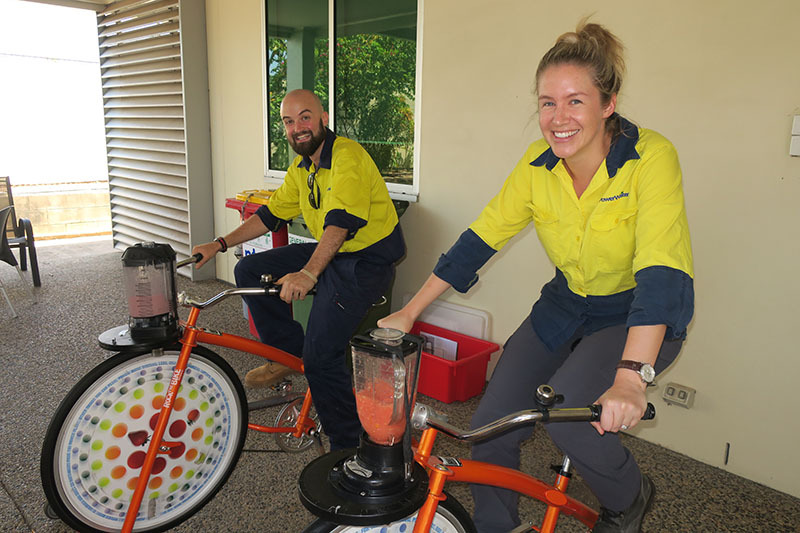 Power and Water employees took some time out to ‘beat the heat’ at hydration and heat stress awareness sessions run by “The Heat Guy” Dr Matt Brearley. Following the successful implementation of initiatives within the Power Networks team since 2015, information sessions were held in Darwin with teams from Katherine, Alice Springs, Yulara and Tennant Creek participating via video-link. Over 100 employees within Power and Water participated in the sessions. The hydration sessions educated staff about staying within a ‘safe cool zone’ to avoid impaired judgement and heat stress, both of which are important health and safety issues.